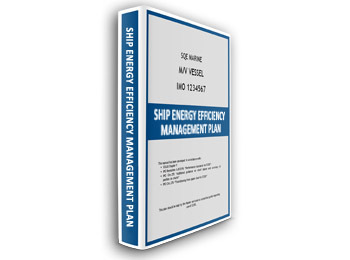 MARPOL Annex VI requires that All ships of 400 GT and above shall be equipped with a Ship Energy Efficiency Management Plan (SEEMP) Part I. Scope of this plan is to provide guidance on shipboard procedures and practices aimed at improving the energy efficiency and conservation. Additionally all ships above 5000 gt should be equipped with Part II regarding consumed fuel data measuring and reporting. Plan is developed in line with IMO Legislation (MARPOL Reg. 22 & 22A and MEPC 282(70)) and common marine practice. Approval by the Administration or a Recognized Organization (RO) on behalf of the Administration is NOT mandatory, however, the Administration should ensure that each ship’s SEEMP complies with regulation 22.2 of MARPOL Annex VI prior to collecting any data. Furthermore the reporting format should be in line with IMO’s requirements and subject to Flag Administration’s verification. SEEMP for tanker vessels should also cover relevant OCIMF requirements.